SHM’s Before the White Coat podcast, hospitalist satisfaction, Choosing Wisely and Journal of Hospital Medicine research are featured in the latest roundup of media articles about the specialty. After celebrating its six-month anniversary, SHM’s podcast, Before the White Coat, was highlighted in a Modern Healthcare article — in print and online — reviewing the inspiration for its development and a few episode highlights. KevinMD.com featured Tracy Cardin’s blog post from The Hospital Leader earlier this month. In her post, she discussed the two requirements she believes are essential for an effective, satisfied hospital medicine group: strong leadership and adequate staffing. Also in the realm of hospitalist satisfaction, Press Ganey CMO Dr. James Marino blogged for Becker’s Hospital Review, noting that a number of hospitalists feel a lack of respect from colleagues; he delves into how he made this discovery and his recommendations. Choosing Wisely appeared in a recent article in the American Journal of Managed Care online site, as the American Society of Hematology launched a task force to review recommendations from medical societies and identify those that are most relevant to the practice of hematology. Select SHM recommendations were included in their review. Two pieces of Journal of Hospital Medicine research were recognized in Science News and Healthcare Design magazine. Science News explored the JHM recommendations to use a novel inpatient care model featuring multidisciplinary accountable care teams. This model was shown to reduce hospital stays and lower costs even beyond those associated with fewer days of hospitalization. The second study cited in Healthcare Design magazine spotlighted the correlation of newer, more up-to-date facilities with patient satisfaction. We will post the next “SHM Media Highlights” email on Thursday, January 7. Happy holidays from the SHM Communications Department! Masters of illusion, college mascots and dairy farmers—those are a few of the pursuits some of today’s most influential doctors dabbled in before they became leaders in medicine. “We thought it was important to see how diverse and interesting the journey to hospital medicine could be,” said Dr. Larry Wellikson, president of the Society of Hospital Medicine. Since June, the group’s podcast “Before the White Coat” has delved into the past lives of more than a dozen healthcare leaders, with Dr. Wellikson as host. You have a dysfunctional hospitalist group. Can it be fixed? Finally one physician had the courage to speak up: “No one respects us.” I was floored. He went on to describe the challenge of taking care of patients when it was often difficult, and sometimes impossible, to get some of his other physician specialist colleagues to come see a patient and help manage that patient’s care. He talked about how a particular cardiologist at his hospital would frequently ignore consults and not even return the hospitalist’s phone calls or pages. Choosing Wisely is a national medical stewardship campaign led by the ABIM Foundation. Several professional medical organizations are now providing relevant tips and suggestions to avoid high utilization of unnecessary tests and treatments. Following-up on last year’s recommendations, the American Society of Hematology (ASH)’s Choosing Wisely Task Force launched a first-of-its kind review of all existing Choosing Wisely recommendations to identify those published by other professional societies that are highly relevant and important to the practice of hematology, including some from the Society of Hospital Medicine. An innovative inpatient care model utilizing multidisciplinary accountable care teams reduced hospital stays and lowered costs even beyond those associated with fewer days of hospitalization, according to a new study published in the December issue of the Journal of Hospital Medicine. 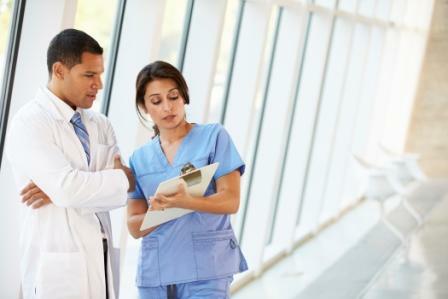 The Accountable Care Teams model, ACT model for short, is based on three foundational domains (1) enhancing interpersonal collaboration between healthcare team members; (2) enabling data-driven decisions and (3) providing leadership. In today’s healthcare landscape, hospitals are under increasing pressure to improve their patient satisfaction scores. Consequently, new construction and renovation have become a key strategy for improving scores. So it’s no surprise that a study on patient satisfaction conducted before and following a move to a new inpatient facility published earlier this year in the Journal of Hospital Medicine got a lot of attention and gave the healthcare design industry a reason to pause.